Gas Unit Heaters from Flexiheat UK provide a cost effective and efficient warm air heating solution for industrial and commercial buildings. They have been designed in conjunction with installers, consultants and end users in mind, to provide the perfect solution to your warm air heating needs. 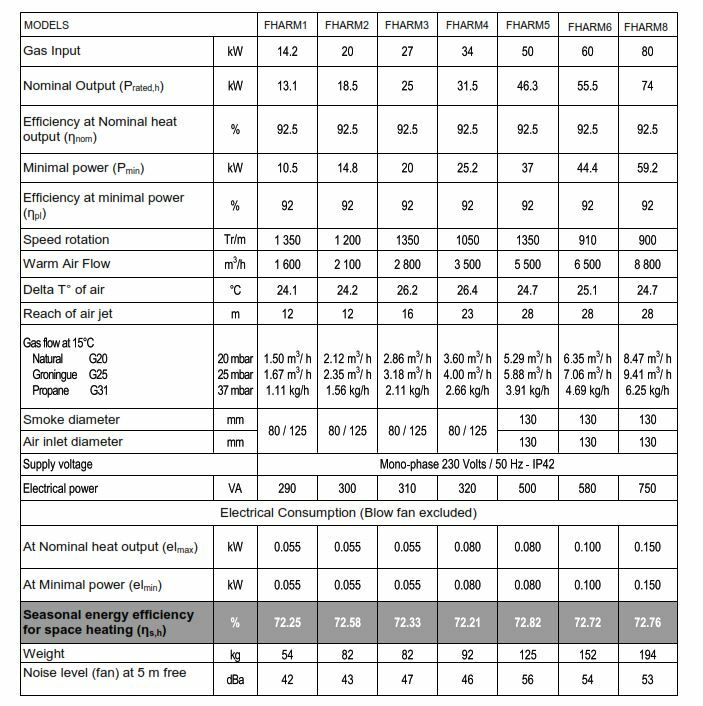 The “FHARM” series of gas unit heaters are suitable for indoor installation and thanks to the closed combustion chamber and atmospheric burner, the “FHARM” gas fired unit heaters achieve over 92% efficiency, and fully comply with the ERP regulations for warm air heaters that came into force on the 1st January 2018 , which now requires warm air heaters to have a seasonal efficiency of 72% as a minimum ensuring these gas unit heaters are the perfect solution for Gas Warm Air Heating for warehouse heating, factory heating, or a workshop heater for example. They can be wall mounted , or suspended from the ceiling, saving valuable floor space, that can be put to better use. All units can be used in a room sealed configuration, with the combustion air being taken from the exterior of the building being heated. The standard range are an axial fan , single stage , although we can also provide the heaters with two stage fans if so required. • Wall Mounting Brackets – For wall mounting, consisting of two steel brackets. The heater can be placed on top of both supports and can also be suspended from them. Suitable for all heater models. • Threaded tapping’s for suspension from the ceiling. On top of theses gas unit heaters are M8 fastening points in which threaded rod , or threaded eyelets can be inserted. Thus you can suspend the units from chain or rod depending on your preference. 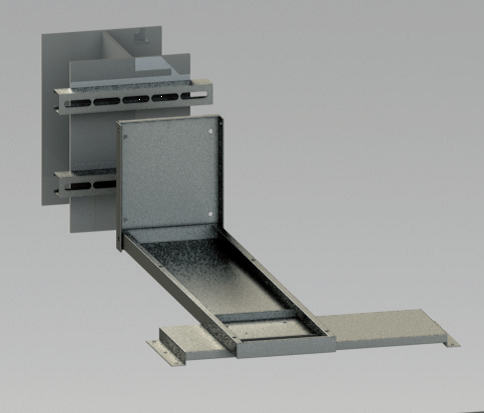 The balanced flue terminal provides both the combustion air inlet and flue outlet from a single building penetration. The terminals are ordered separately from the heaters to suit either a wall outlet or roof outlet. 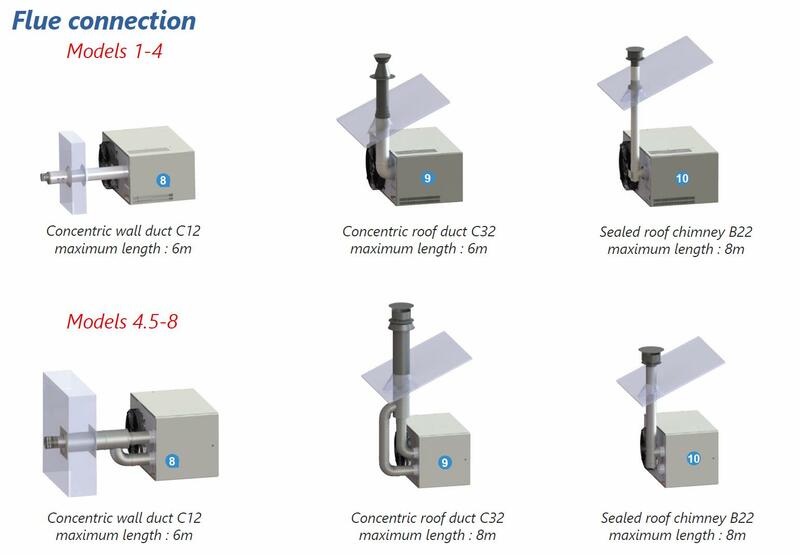 Additional flue and combustion air pipes may be added, up to a maximum of six metres of flue pipe, plus six metres of combustion air pipe. (This reduces by one metre for every 90° bend fitted). 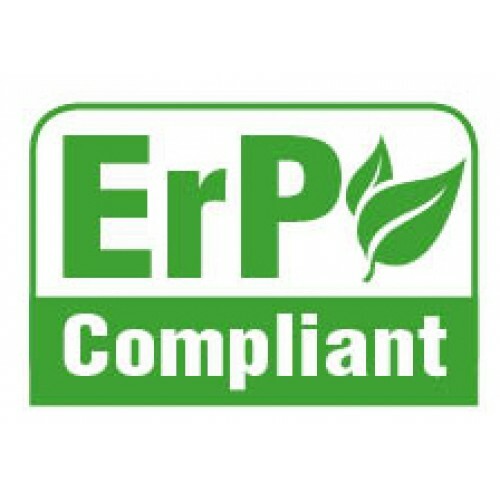 To comply with CE approvals, balanced flue appliances must be used with the manufacturer’s balanced flue system. 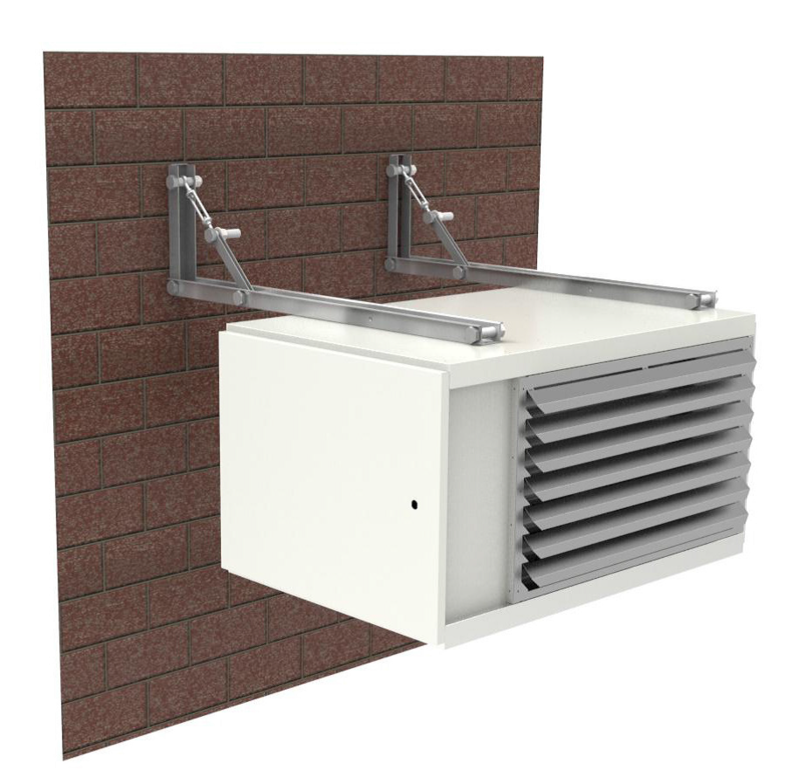 The units are also certified for fan assisted flue installations, where the combustion air is to be drawn from within the heated space; an alternative wall or roof terminal is required for this application. A single phase electrical supply is required to each unit. This supply should not be switched off except for maintenance. 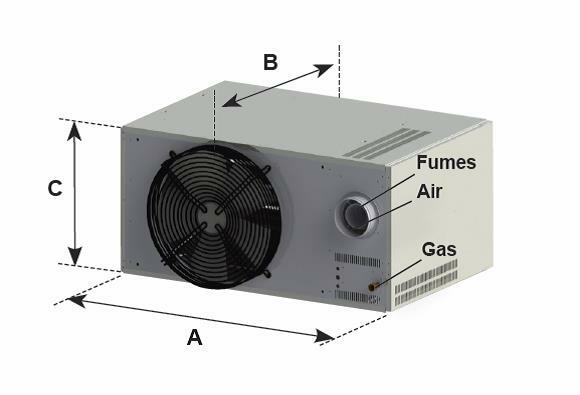 These Gas Unit Heaters must not be installed in atmospheres containing flammable or explosive vapours, combustible dust, halogenated hydrocarbons or chlorinated vapours. They are also unsuitable for areas where contaminants may affect electrical motors or connections.